NewSpace is a movement of space entrepreneurs investing/getting backing private capital to create space products and services which are primarily targeted at B2B, B2C markets. This is different from traditional folks who target government mostly as their customer and try to hold the government as an anchor customer for them to kick-off and run their business. 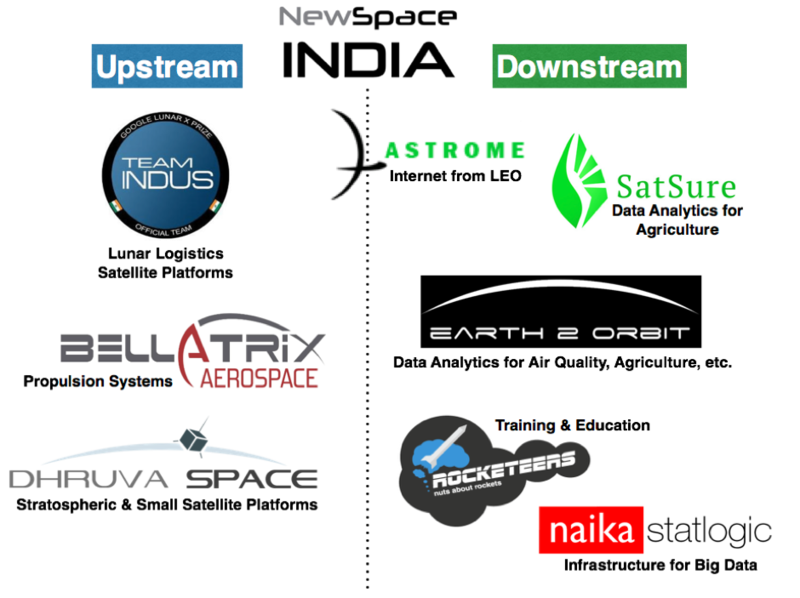 The NewSpace India team has been a part of a new crowdsourced venture on tracking NewSpace companies around the world. HERE is an archive of 100s of NewSpace companies being tracked with different verticals (launch, satellite, analytics, etc.) across different geographies. Today there is evidence that there are more than 1000 NewSpace companies around the globe that have been kicked-off in the last 10 years. One needs to reflect the overall global NewSpace ecosystem from that of India. This is extremely important since several of the new satellite-based services such as the internet from LEO satellites, IoT/M2M connectivity, satellite big-data analytics platforms shall expand the space economy and Indian companies need to carve out a niche for themselves. Today, there is some movement in Indian NewSpace community with several new start-ups trying to create their own niche in upstream and downstream. There are significant opportunities for these NewSpace companies to target new technology niches which compliment the capabilities and interests of Indian Space Research Organisation (ISRO). ISRO currently has no evident roadmap in creating services such as internet based on LEO satellites, IoT/M2M services, satellite big-data analytics. There are several things needed in shaping this community of complementarities. Creating a Business Incubation Programme that is start-up-ISRO complimentary is one of foundation of beginning this. One of the other core problems to tackle is the need for financing via private capital for these start-ups to accelerate. There is a need to diversify current regulatory framework and create frameworks and policy environments that are needed to attract larger investment from both Foreign Direct Investment (FDI) and local institutional investors. Such fundamental shifts in steps of ecosystem creation shall form the foundation for the many more NewSpace start-ups to emerge out of India.